The full reveal of Saturday, February 9th’s SLAMTOWN card has been revealed! Rain, Snow or Shine - we will be bringing one of wrestling's biggest stars as John Hennigan, also known from his recent appearance on the hit CBS SURVIVOR: David vs Goliath show. Or his years exciting fans while working for WWE as John Morrison, or more recently as Johnny Mundo from El Rey Network's Lucha Underground, Johnny Impact or even Johnny DEFY! John will be going one-on-one with wrestling's anti-superstar, Darby Allin. 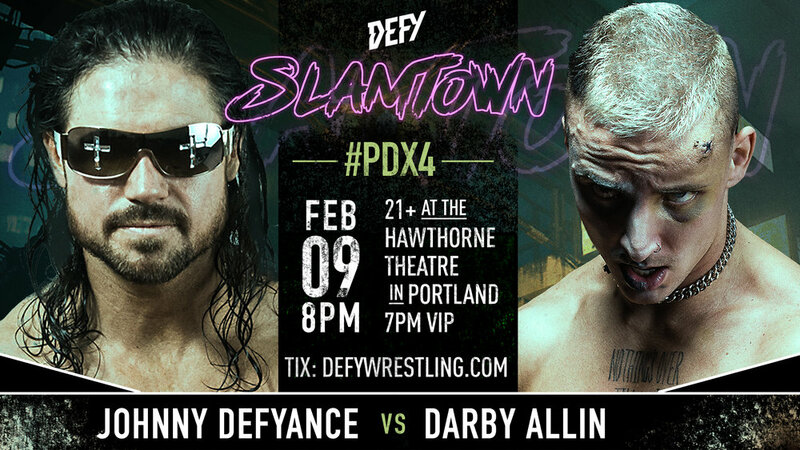 Darby has been tearing up the independent scene for months now and was highly impressive during his fight that spilled out all across the Hawthorne Theatre when he fought Shane Strickland last year. The DEFY World Champion, Artemis Spencer will be making his Portland debut as he puts his championship on the line against Maxwell Jacob Friedman. Friedman who goes by the name MJF had a very impressive 2018, and he has started 2019 with a bang by signing a contract with the newly formed All Elite Wrestling. 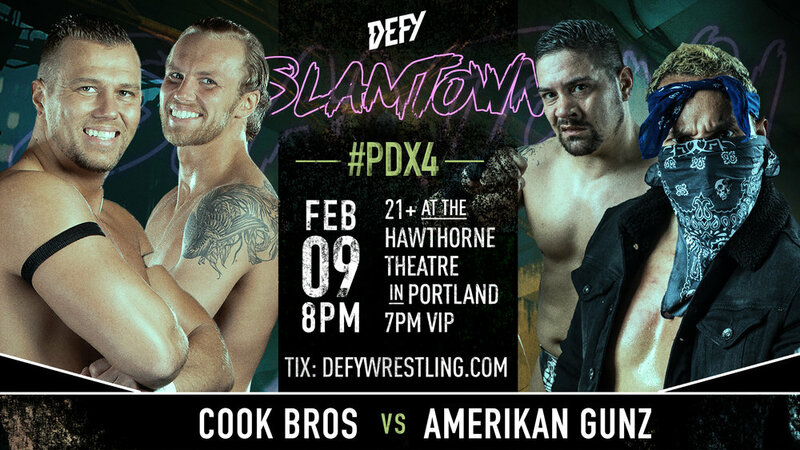 These two men met last year during a six man tag team match in Seattle and since that moment have been urgently awaiting a singles match. Also announced for February 9th may be the most anticipated match of the night. It's a match where both men have been extremely vocal about their dislike for one another. On one side of the ring we have "the Baddest Man in Wrestling," SCHAFF. On the other side we have veteran wrestler Hammerstone! Both of these men are heavy hitters, so if you're a fan of seeing heavyweights beat each other up this is the match for you! A limited number of general admission tickets are still available at ticket link below! Don't hesitate as our last four events have sold out!